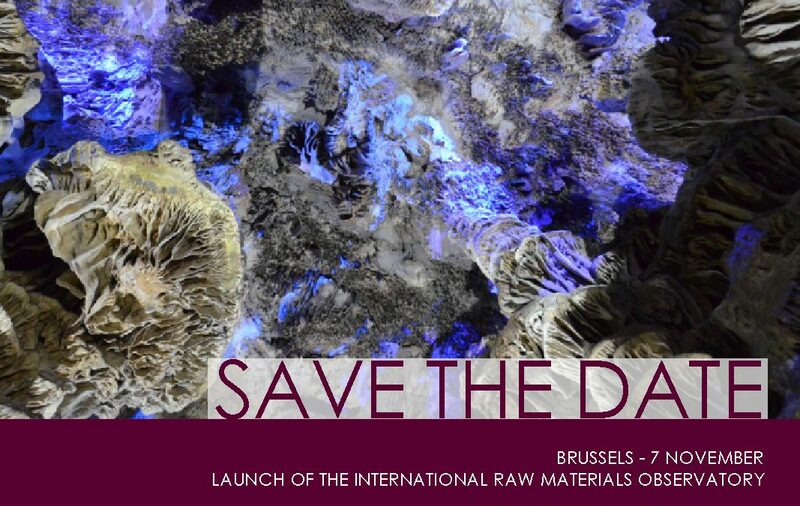 This event is organised in the frame of the European Commission’s Raw Materials Week, and will be integrated in a session of the Conference EU-Advanced Mining Countries, organised by DG Grow. In addition, as one of the services the Observatory will provide in the future, an international match-making session between industry and research organisations active in the raw materials sector will be organised at the end of this Conference. The International Raw Materials Observatory is a new independent, apolitical, international not-for-profit organisation, set up to support international cooperation on mineral raw materials’ research & innovation, education & outreach, industry & trade and recycling, management & substitution of strategic raw materials.